Tags : Luggage, Racks, SW Motech. 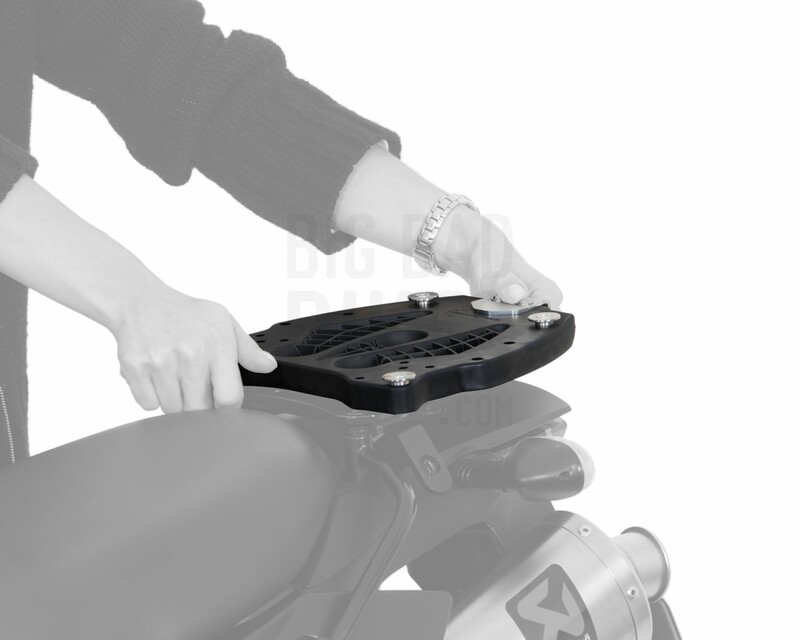 SW Motech brings you the Quick Lock Adapter Plate for TraX Top Cases. 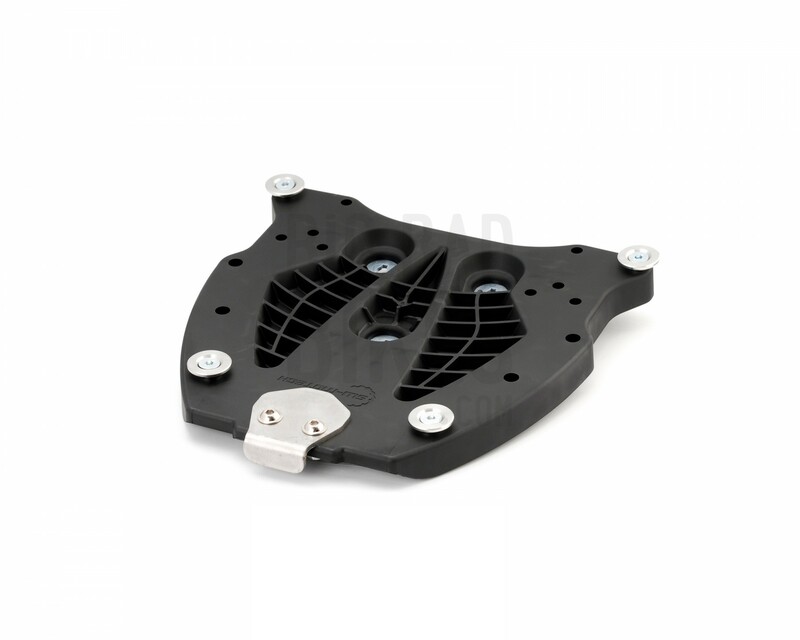 This adapter plate is designed to be an interface between the ALU-Rack and the TraX Top Case, allowing for quick mounting and dismounting of the TraX Top Case. 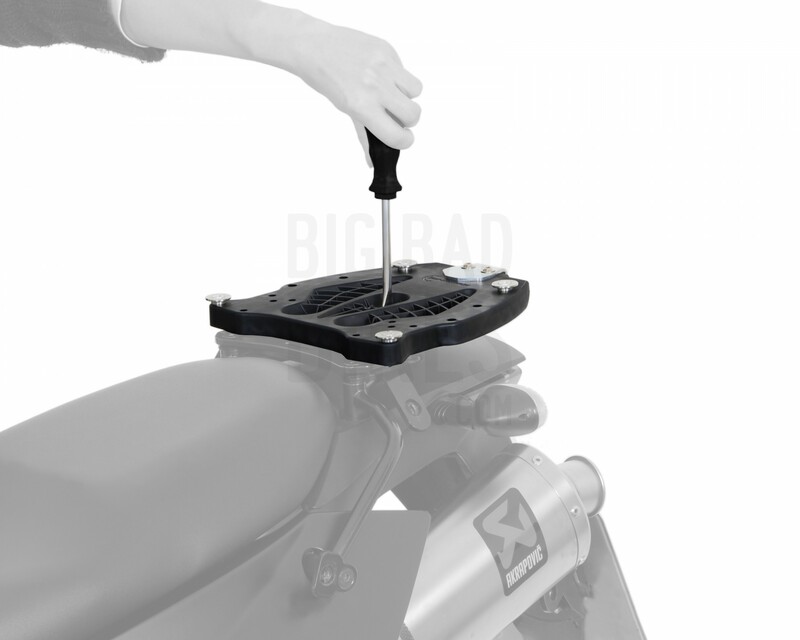 The plate itself is mounted using Quick Lock fasteners so that it can be removed easily when the Top Case is not being used.